What would you do if Child Protective Services showed up on your doorstep with an army of Sheriff’s deputies and tried to remove your three-year-old from your home? Knowing there's no justification for their action and the court documents they presented are fabricated, would you stand by or fight to protect your child? 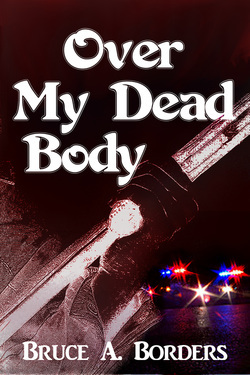 Over My Dead Body explores the deadly reaction and consequences when a protective father, Jeff Blake, tries to prevent the state from taking his daughter. The director of Child Protective Services uses his position to exact a personal vendetta in removing three-year-old Ashley from the Blake’s home. The situation quickly becomes violent as Jeff resorts to the only response he feels he has. By the end of the short encounter, three people are dead. Ironically, Ashley is still taken, so the tragic fiasco gained nothing. Matters are further complicated when Amy, the wife and mother, winds up in a mental ward due to the trauma she witnessed in her home. Jeff and Amy’s daughter is placed in temporary foster care, while the family’s attorneys attempt to salvage what they can and re-unite the family. The police, as well as the Courts, understandably, are not too concerned with the needs of the family and it seems the entire justice system is against them. Complete with many twists of fate, the story looks at the common problems of a typical family caught between love and the law. 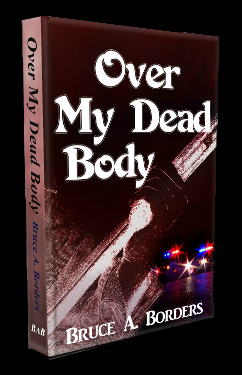 Over My Dead Body is available as an ebook at Amazon, Barnes & Noble, Sony, Apple, Kobo, Diesel Books, Baker & Taylor, Smashwords, and more. Paperback editions available at many online retailers and on this site at The Bookstore.